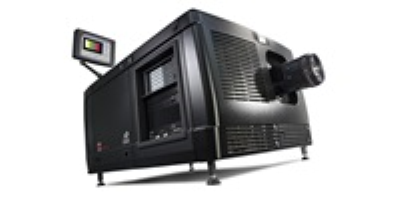 Global leader in cinema technology, Barco, is expanding its laser portfolio with two Smart Laser projectors that provide large cinema screens with up to 33,000 lumens brightness and 2K or 4K resolution. Barco’s Smart Laser projectors free exhibitors from all lamp-related hassle and cost, allowing them to cut costs and simplify their operations. What’s more, they also provide superior image quality. The brand-new DP2K-32BLP and DP4K-32BLP bring Barco’s laser projector range to 15 models in total, the widest laser portfolio in the industry. Thanks to their energy-efficient design and laser light source, Barco’s Smart Laser projectors provide superior image quality at a more attractive TCO than lamp-based projectors. They free users from all lamp-related costs and maintenance and enable electricity bill savings of up to 50%. Exhibitors can also get rid of the expensive 6,500W Xenon bulbs. Moreover, thanks to Barco’s SmartCare warranty program, exhibitors don’t need to worry about how their projector’s light source output will evolve over time. By offering superior image quality with guaranteed light output, the program provides 10 worry-free years of operation. All of this makes Barco’s Smart Laser range a smart choice when converting to laser-illuminated projection. Exhibitors who already own a 32B Barco Xenon cinema projector can retrofit their current projector to benefit from laser technology, rather than invest in an entirely new model. Thanks to Barco cinema projectors’ renowned modular design, exhibitors can replace their current lamp house with a compact laser phosphor module via an on-site upgrade. This is an accessible way to get rid of expensive Xenon bulbs. Join our Smart Laser demos at the CineEurope trade show to discover our brand-new DP2K-32BLP and DP4K-32BLP projectors. You will find Barco at Suite A on the trade show floor in Barcelona, from 20 – 22 June.